ScanMaster Systems (IRT) Ltd., Israel. The demand for in-service inspection of train rails is growing as the axial load, the traffic volume and the train speeds increase. Often ultrasonic methods are chosen to detect a variety of internal flaws. Different instrumentation is employed for testing, ranging the gamut from hand-held devices, through dual-purpose road/track vehicles to test fixtures that are towed by or integrated into dedicated rail cars. Of these, automated testing, offering testing consistency and full test documentation, are growing in importance. Here we present a comparative off-line data analysis scheme which is based on an automated, high-performance rail testing system (SFB-50). Combining the data acquisition capabilities of the SFB-50, with full recording of the salient information carried by the ultrasonic signals with multi-test, post-processing methods, we demonstrate a comprehensive, cost-effective test procedure for rail testing. Our rail inspection concept relies on the ability to detect flaws in their sub-critical size. This capability permits the bifurcation of the track inspection into two separate procedures: automatic surveying and recording and manual verification. We thereby combine the speed and consistency of automated testing with the flexibility of manual inspection for optimal flaw detection reliability and maintenance cost. First a test is run with the SFB-50 Rail Inspector to map and identify suspect indications. Severe indications are acted on immediately: a team is sent into the field for verification of the flaw, and, if necessary the appropriate repair is scheduled. Sub-critical indications are recorded and re-examined in subsequent test runs - as described in section 6 below. comparative, off-line analysis of two or more test runs. The last feature is instrumental in further reducing false-alarm due to acoustic noise, facilitating the flaws pattern recognition process, and generating a knowledge base for better understanding the parameters that affect the flaw development and growth processes. The following sections describe our test equipment, show typical test patterns for real flaws and report on a survey by the Israel Railways using the methods described above. 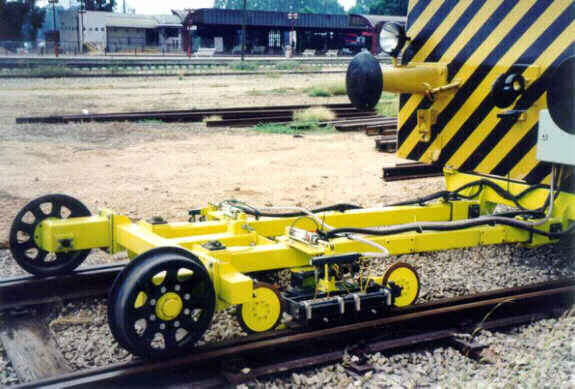 The SFB-50 is an automated rail inspection system for early detection of flaws in rails. The SFB-50 comprises a tow-cart (Figure 1a) with ultrasonic sensors and a console housing the advanced digital electronics. The cart incorporates specialized probe holders that self align to the rail, ensuring consistent signal detection. Contact probes with water coupling are used. The cart also houses a mechanical encoder to synchronize the imaging position along the rail irrespective of the travel speed. The resulting images are therefore generated at an accurate scale. The consistent scale is important for sizing the length of defects, for accurate location of flaws in follow-up confirmation testing, and for the comparative examination of two or more tests performed in the same region. Fig 1: The SFB-50 version for up to four sensors, a) tow-cart, b) control console screen showing the central rail status bars; and c) the A-scan screen of a data acquisition channel showing 16 gates each located at it's status threshold level. The operator's console includes a data-acquisition unit for each sensor, and a central server to coordinate the system's operation. The server's monitor displays a multi-channel composite, flaw location display for each rail for monitoring the test's progress (Figure 1b). Through the server the operator controls the test process, including start / stop of a test, entry of landmarks along the rail being tested (locations of bridge, crossing, tunnel etc. ), alignment with actual milestones, and setup of the scan features (pixel resolution, selecting setup etc.). The separate, independent data-acquisition modules provide for the high-volume of input data. Each module displays the A-Scan and pseudo B-Scan images for each channel in real-time (Figure 1c). In each such channel the system detects the amplitude and time of flight of the largest signal in a series of 16 time gates. Each gate also generates a "logical state": whenever the amplitude in the gate crosses a threshold that gate is assigned a logical "Active" or "1". Such an active state can be assigned to signals that are larger than the threshold (as used in material gates, where the signal is normally low) or smaller than the threshold (as used in backwall gates, where the signal is normally high). At every measurement pixel the amplitude and time of flight of all the "Active" gates is recorded to file, and a pre-defined logical combination of the gates defines whether that pixel is to be displayed as "defective" in the rail status display on the central screen. In addition the system can automatically switch ultrasonic setups for different rail types by measuring their height. On completion of a test run the recorded data is analyzed off-line to review the recorded indications, identify flaws and their location. Recorded data is processed off-line in the pseudo B-Scan format (bottom part of Figure 2). This presentation plots all "Active" gated signals (those that exceed their predefined threshold) at their measured depth and location along the track. In the pseudo B-Scan of Figure 2 the depth in the rail is measured vertically from the top of the image, and the position along the track along the horizontal axis with absolute distances indicated. The data can also be regenerated at every spot to plot each gated data point at it's correct amplitude and time on a pseudo A-scan form (top part of Figure 2). Fig 2: The processing view of a rail section showing the pseudo B-scan (on bottom) and pseudo A-scan images of a flaw type UIC 212. The A-scan image in this case corresponds to the signal envelope in the vicinity of the flaw at 59,165 m ± 50 mm. Using the system's off-line processing tools the operator can zoom, pan, search and identify (run a criterion filter over the data to automatically search for indications and flaws) and generate reports. After manual verification a report of the flaw position is generated to assist an inspection team sent to the field in locating the indication and verify the detected flaw. As we demonstrate below, the availability of multiple gates and the recording of all data for off-line analysis are invaluable features for in-service inspection of rail tracks. The SFB-50 is modular in design with respect to the number and type of probes used, the criteria for real-time flaw indication and the test pixel resolution and averaging. Figure 2 shows the pseudo B-Scan and the corresponding pseudo A-Scan for a 55 mm horizontal-longitudinal crack in the rail head (type UIC 212 - shown in Figure 4a). The multiple reflections correspond to the reverberations of the signal between the top rail and the defect. 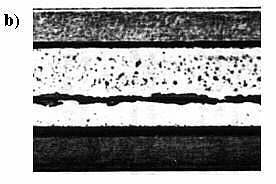 Fig 3: a) A 1 Km pseudo B-Scan of continuously welded rails. The joint regions (bolt-holes & weld) of the 56 rail sections, each 18 m in length, are clearly visible. b) an enlargement of a joint region showing four reflections off the top of the four bolt holes (top row of indications); in addition there are five reflections from the back-wall of the rail - four opposite each bolt hole and a fifth (in the center) from the weld region. 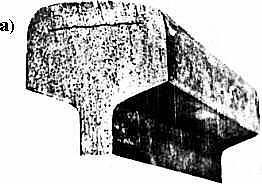 Figure 3a shows a pseudo B-Scan image for a continuous welded rail track extending 1 Km. In this scale the regions of the rail joints, incorporating four bolt-holes and a weld, are evident as a single indication; on zooming in on such a joint region (Figure 3b) the bolt-holes and weld resolve into separate indications. Figure 5a and 5b show additional examples of pseudo B-Scan images for defect type UIC 212 . Figure 6 shows a pseudo B-Scan of a vertical longitudinal crack in the rail head (type UIC 213 - shown in Figure 4b). The direct reflection from flaw is weak, but the consistent loss of the backwall echo is indicative of the flaw. Some reflection is visible whenever the defect cross-section is large. Fig 5: Images for defect type UIC 212. a) the defect is well-developed as can be concluded from the intensity and extent of the multiple reflections. b) in the vicinity of bolt holes, it becomes difficult to discriminate the defect from the additional reflections. The above results show the power of the multiple-gate feature - it readily allows for the detection flaws in the vicinity of bolt-holes and other artifacts (see Figure 5b). allows monitoring of the flaw development process. These important advantages are discussed below. Fig 6: Image for defect type UIC 213 extending throughout an 18 m rail section. The crack generates a complete loss of backwall as seen from the continuous indication extending the crack length (between the two frames). Portions along the crack are sufficiently large to generate the series of reflections nearer the top of the rail. Note also the type UIC 212 defect on the right (right frame) and the reflection from the web-head region on the left (left frame). Averaging over several pulses reduces the effects of momentary spurious signals, n(t). Such averaging is performed in the data acquisition where more than one transmission is used in every measurement pixel, and during the processing where a defect is declared only for indications that span several pixels. Nevertheless, the amplitude of the noise signals is large and they resemble, in their characteristics, reflections from sought flaws. Therefore a comparative inspection of two or more test results helps to separate the spurious signals from the actual reflections in the rail. Since the noise is random, it is not expected to repeat in two or more tests in the same location. The ability of the system to detect flaws in a sub-critical size facilitates the identification of flaws by comparison between two test runs. When the flaw is sub-critical there is sufficient to monitor it's development in subsequent test runs. The development of a flaw over time can also be correlated to the loading of the track - the axial loads and traffic volume. All these can be fed back to optimize the scheduling survey periods and improve on other aspects of the track maintenance. Figure 7 shows two overlapped scans, recorded a month apart, of the same rail weld region. The later scan (shown in red) shows additional indications of flaws that appeared after the initial inspection of the rail. This comparison brings out the development of two UIC 212 type defects in both rails in the vicinity of their weld joints (defects in frames). The size of this defect (approx. 15 mm long) is sub-critical; such a defect would have been considerably more difficult to identify without the comparison to a previous scan. Fig 7: a) overlaid pseudo B-Scans taken one month apart. Larger defects are evident in the later scan (Red); b) same images shifted to accentuate the differences. Note the additional surface defects (in rectangular frames) and the larger backwall reflections for the later (Red) scan. Israel Railways has undertaken to survey its tracks with the SFB-50. Initial tests employ a two probe arrangement: a 2 MHz T-R 0o probe is used for each rail in parallel. The pixel size is 4 mm. The most frequent defects encountered are UIC 212 and 213. The critical length for these defects is approximately 40 mm; this corresponds to ten or more detection pixels. As seen from the sample test results the system readily detects defects when they are merely four or five pixels long, well below the critical length. In implementing our two-tier inspection scheme we sent out manual verification teams for defects that are at least 50% of the critical length. The corroboration rate of defect found in the automatic inspection depends on the size of the indication - very large defects were corroborated nearly 100% of the time. As for the shorter indications there is a significant improvement in the corroboration rates once the comparative test has been introduced. Whereas before the introduction of the comparative data analysis the manual inspection corroborated the automated test indications in 50% of the cases for small defect indications, after the introduction of the comparative analysis the correlation increased to nearly 90%. We presented a two-tier inspection scheme using a combination of automated testing with the SFB-50 Rail Inspector, comparative off-line analysis, and manual verification in the field. Using this scheme we have been able to considerably reduce the analysis effort and at the same time reduce false alarm indications and improved the reliability of the testing. The system described here reduced the need for hand-held testing threefold, while increasing the probability of detection of critical defect to nearly 100%. The introduction of the comparative analysis significantly improved the probability of detection for sub-critical defects. Specifically for UIC 212 and 213 type defects of 50% critical length the manual corroboration rate increased from 50% to 90%. This significantly improves on the ability of the scheme to monitor defect development. Several of the features offered by the SFB-50 are invaluable for this scheme: the multiple gates used permit the detection of flaws in the vicinity of other rail artifacts (bolt-holes); the full data capture for off-line analysis and the accurate, high scale zoom of the resulting B-scan image patterns.